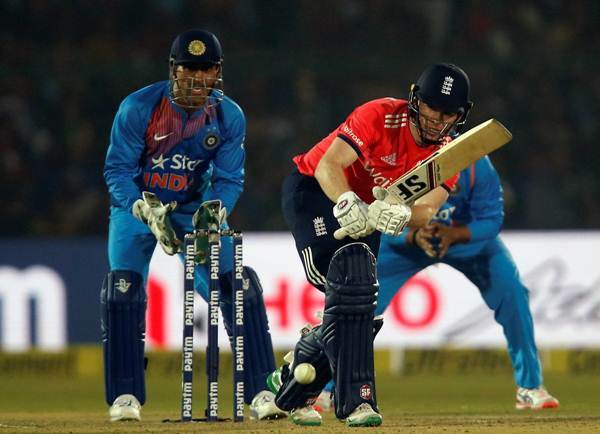 Former Indian skipper Sunil Gavaskar heaped praises on Eoin Morgan after the first T20 international at Kanpur. The England skipper played a calm and composed innings to see his team home. He walked out when they had lost a couple of quick wickets but scored a stable half century off 38 deliveries and made sure his team took 1-0 series lead. The Indian legend spoke about various aspects of the match between India and England. India only managed to score 147 runs in 20 overs, “I think India kept losing wickets regularly. They did not have any partnership worth the name. I think you must have partnerships. If you have a 60-80 run partnership it propels your score close to 200,” he said while talking to NDTV. “So when your opponent has to chase at or 10 runs an over, they are under pressure. Since India were dismissed for a score of below 150, the asking rate was below 7.5,” he further added. Gavaskar also talked about how England are strongest in the shortest format of the game; reaching the finals of the latest World T20 and now beating India in their own backyard. “Look at the way they performed in the ICC World Twenty20 last year. They reached the finals and almost won it but for those last four deliveries. So, yes, their T20 team is their best team in all formats of the game,” Gavaskar explained. Coming back to the England captain, Morgan has been released by his IPL franchise Sunrisers Hyderabad and is up for auction. However, the little master believes that he will surely be picked up by an IPL franchise, he said “Generally, the players who are rated highly are the ones who play in the IPL. Morgan hasn’t had too many opportunities in the IPL and I understand that the franchise that had him has released him. I think that there will be many franchises who will go for his services because he is an impact player. He can change the game in a matter of overs and he has the ability to tailor his game according to the needs of the situation,” he further explained. He also praised Morgan’s temperament during his match-winning innings. “He started off slowly in the match because two wickets had fallen. So he played himself in and then he and Root opened their shoulders and took England home.” Gavaskar concluded. Why did Virender Sehwag’s Twitter timeline sport deserted look on Virat Kohli’s 29th birthday?